This mix of brilliantly-colored chards will look great in your vegetable garden and your flower bed! You’ll find yellow, pink, crimson, orange, purple, white, and green stems in this mix - which keep their color after cooking and have a rich, peppery flavor. Leaves will regrow if cut back 2 inches from the crown and the plants can tolerate light frost in the spring and fall. 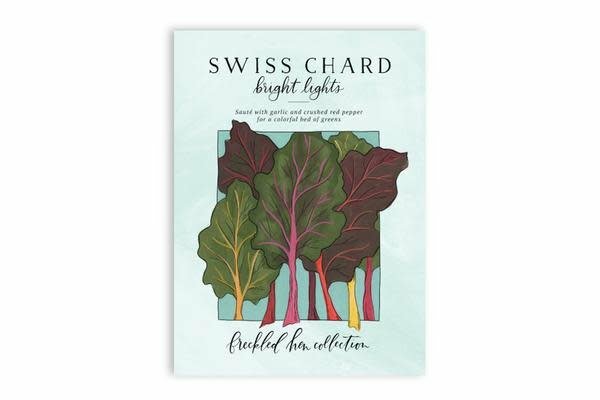 Where to plant :: Plant chard in moist, fertile soil with full sun to partial shade. 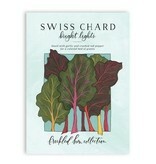 When to sow outside :: Directly sow or transplant chard in early spring as soon as the soil can be worked. Plant again in late summer for a fall harvest.